After learning that with great power there must also come great responsibility, Peter Parker becomes the crime-fighting super hero called the Amazing Spider-Man. The web crawler takes to the streets of the Big Apple to face villains like Mister Negative, the ruthless gang leader of the Inner Demons and one of the most dangerous threats to ever sweep through the city. 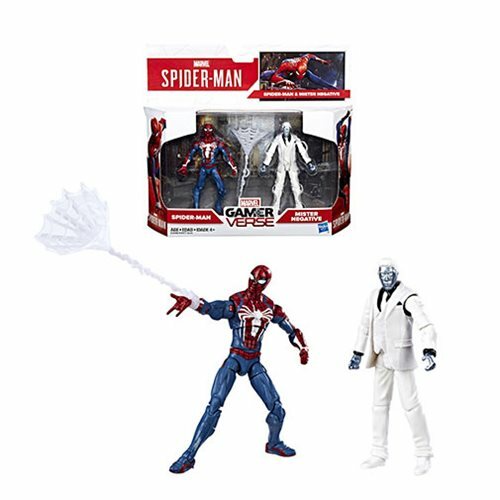 Imagine the web-slinging action of the Marvel's Spider-Man video game with this Marvel Gamerverse 3 3/4-inch 2-pack of figures, featuring game-inspired design and character-inspired accessories.